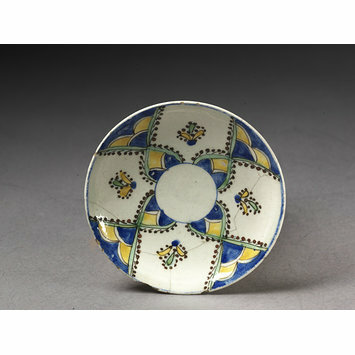 Saucer of porcelain decorated with a cross. Sprays of flowers are in the section between the arms in blue, yellow and aubergine, green and red. 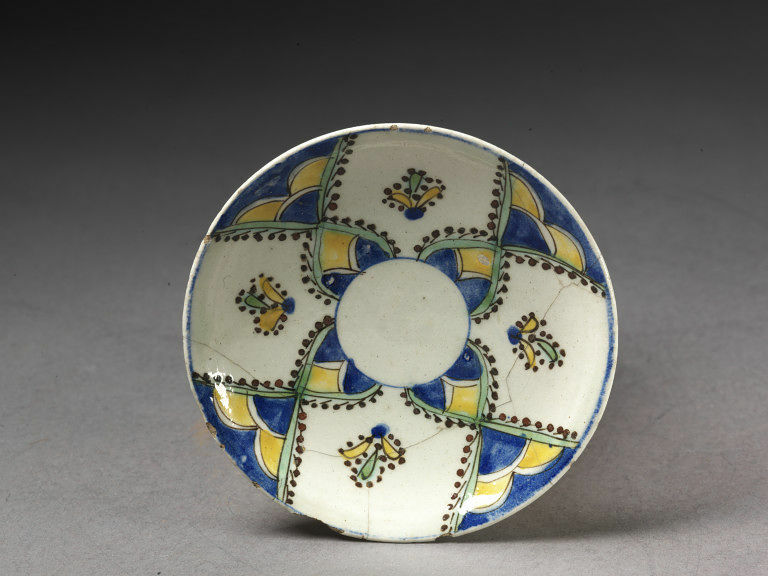 Saucer, fritware, polychrome painted, Turkey (Kütahya), about 1725.